The women's full zipper running sweatshirt, made of breathable technical fabric, combines optimal athletic performance and sleek lines. 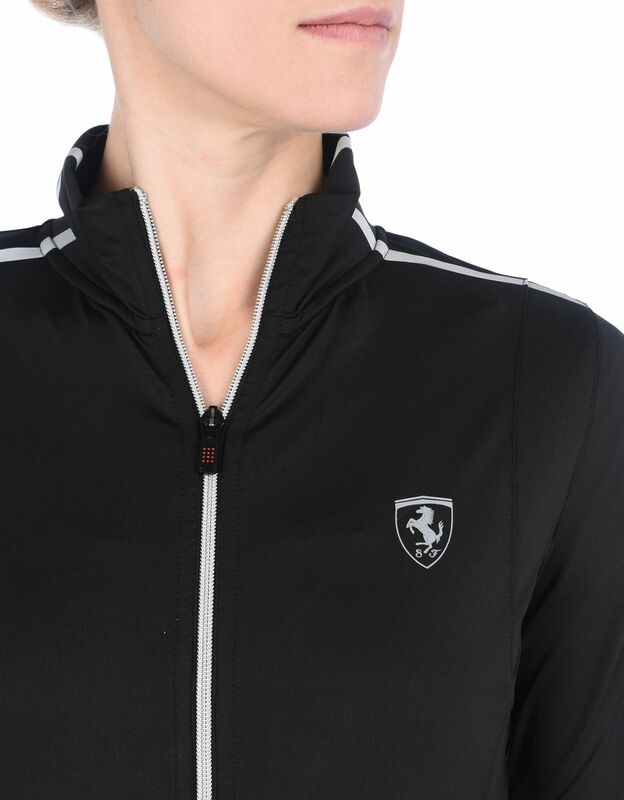 A study of design and high-tech materials characterize this Scuderia Ferrari women's sweatshirt. 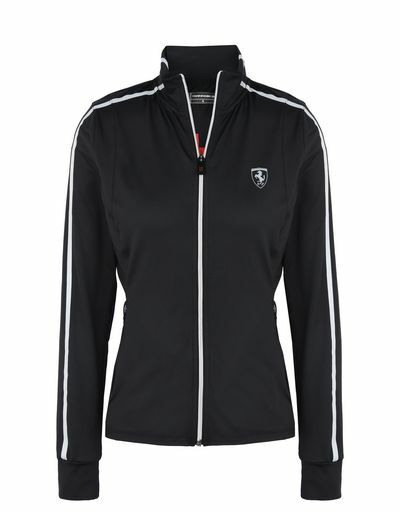 The breathability treatment of the technical fabric enables evaporation of sweat to keep the body dry, ensuring maximum comfort during gym activities and running. 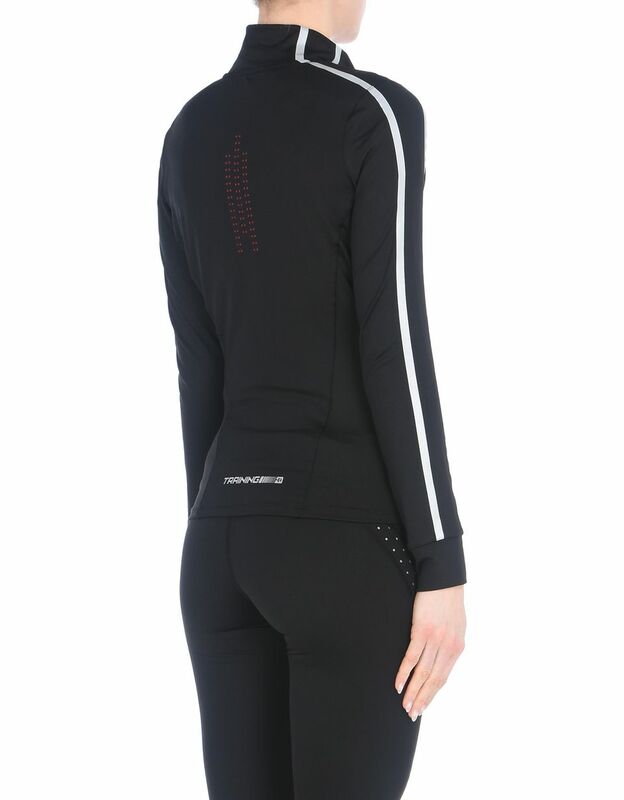 The slim fit of the garment is enhanced by ergonomic cuts and the front pockets accentuate its functionality, while the reflective inserts on the shoulders and sleeves ensure visibility during evening runs. 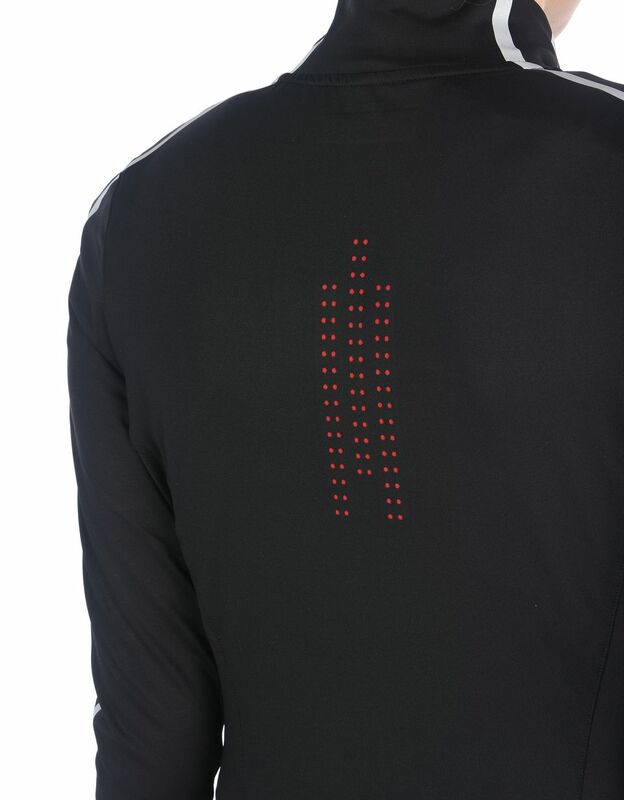 The 3D mesh pattern in contrasting colors on the back is an original detail.